Introduced by US physicist Theodore Maiman in 1960, the laser has become an indispensible part of science and technology. More than fifty years after their official launch, lasers have also become established as tools for modern medicine. It was first used for dermatological treatment in 1964 – and has been successful since, removing tattoos, hair, pigmented lesions and vascular lesions. But lasers have also become indispensable for the effective treatment of medical conditions such as certain types of hemangioma, an area of application where they cannot be replaced by any other form of therapy. Explained in practical terms: a laser is a source of light, which is highly collimated into a beam with a high energy density. This beam consists of light with a certain wavelength (monochromasia). The emitted light has a single spectral color, ranging from ultraviolet to infrared, depending on the laser. This is in sharp contrast to sunlight, which consists of all spectral colors and covers the entire wavelength spectrum. 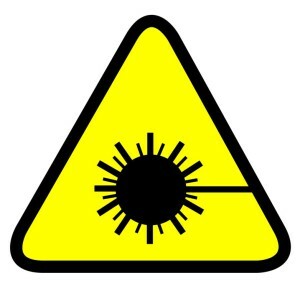 By the way: the word laser is an acronym for Light Amplification by Stimulated Emission of Radiation. How does laser treatment affect the skin? Laser light is extremely easy to focus and it is possible to achieve a very high intensity. Depending on the wavelength, only special components of the skin absorb the laser light (selective photothermolysis). The generated heat destroys hemoglobin, melanin or vaporizes tissue fluid. 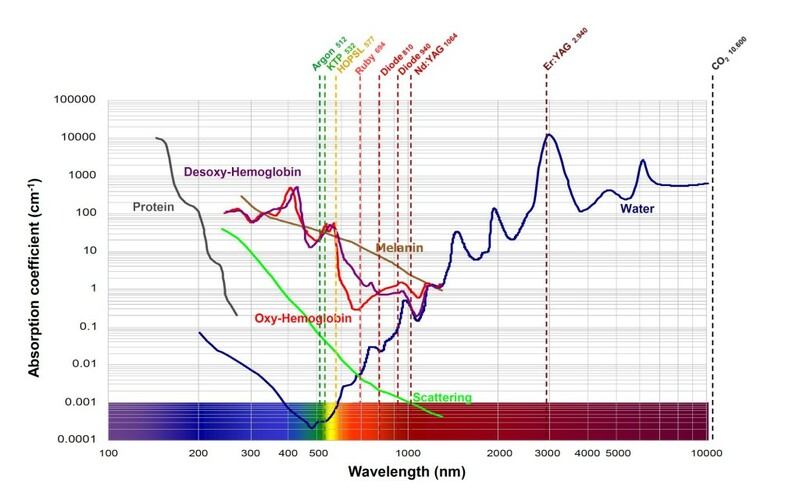 Hemoglobin, for example, mainly absorbs green and yellow light with a wavelength of between 510 and 590 nm. Which lasers are used for aesthetic medical applications? Further distinctions can be made depending on the way the light is emitted: if lasers emit constant light, they are referred to as continuous wave lasers (also: CW lasers), lasers emitting short light impulses are referred to as pulse lasers. Pulse lasers with a special technology to reduce the pulse length are called NANO (Q-switched) or PICO lasers. Which laser is absorbed by which target structure (absorption curve)?